Line voltage on/off control of lighting fixture(s). Built-in quick installation testing mode. 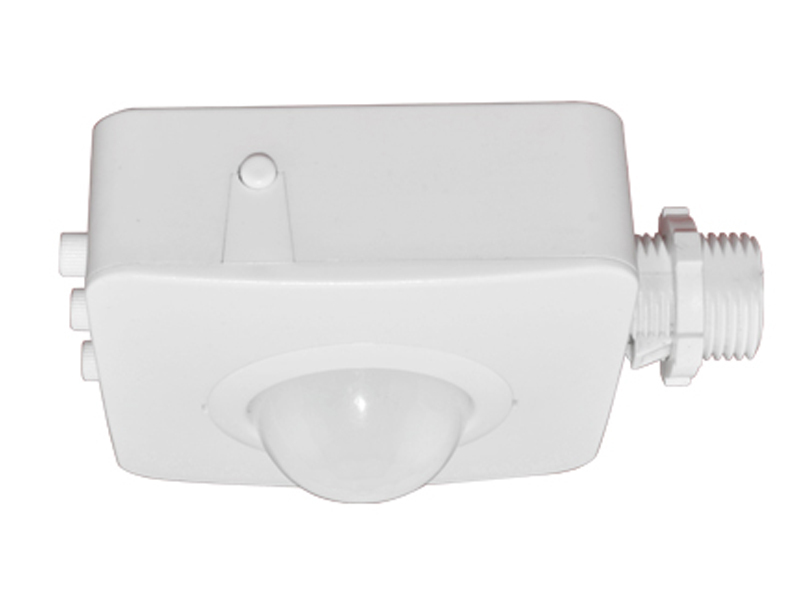 Multi-element PIR detector has excellent sensing performance across wide range of temperatures. 1 to 60 minutes dimming time delay for dimmed lighting. 0-10V dimming control compatible with dimmable LED drivers and fluorescent ballasts (-D models only). 10 seconds to 60 minutes standby time delay for a wide range of installation locations and applications. Daylight harvesting functionality observes ambient light threshold set at measured or preset light levels. IR remote control allows quick setup, settings adjustment, and manual on/off override. Up to 2,100 ft² coverage area at 41 ft mount height. UV resistant, flame retardant, impact resistant, and recyclable polycarbonate construction. 4.29 x 3.25 x 1.89 in.